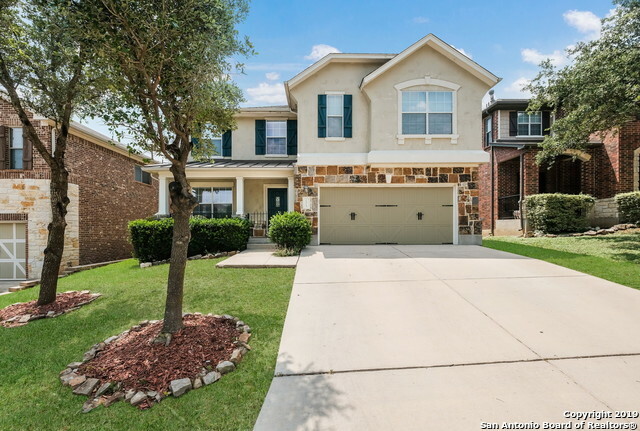 All SADDLE MOUNTAIN homes currently listed for sale in San Antonio as of 04/23/2019 are shown below. You can change the search criteria at any time by pressing the 'Change Search' button below. "4 bedroom, 2.5 bath in Saddle Mountain. Neutral paint & finishes throughout. Off of entry is large formal living that can be easily used as playroom, office or library. Open concept traditional living and large dining that feeds into kitchen. Kitchen boasts stainless steel appliances, gas cooking, & bartop seating. Bedrooms are oversized. Master bath has large tub & stand in shower with double vanity. Second level also has a loft with great opportunity i.e. game room, man cave, or kids getaway."